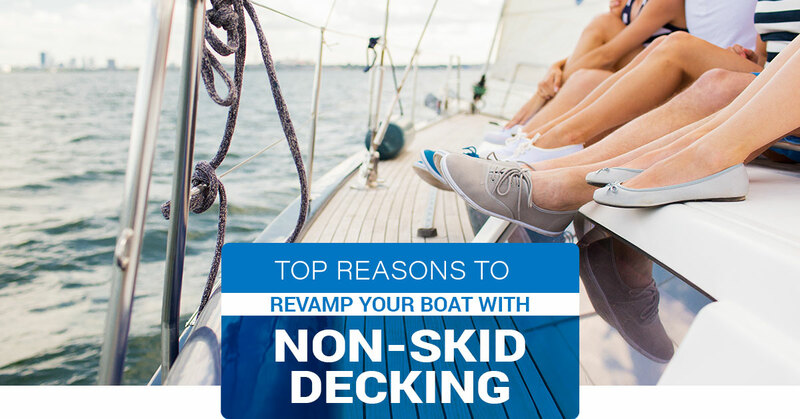 Have you ever considered non-skid decking for your boat? Anti-slip decking is an innovative solution that can help you save money and avoid unnecessary maintenance down the road. In this blog post, we will explain how marine decking could be the best investment for your boat. 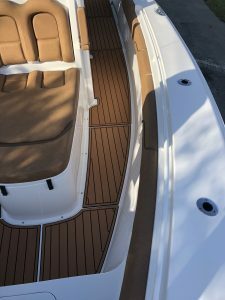 Slick look – At Marine Customs in Florida, clients come to us with a vision in mind for their boat decking. Whether it’s custom patterns, graphics, or logos, we are proud to offer complete design customizations. Your boat may even have a number of spider cracks or other surface imperfections. With our top-of-the-line product, you won’t see any of those! Our team can also handle custom laser engraving for projects big or small. No mess with installation – Our boat decking solutions are all maintenance-free, so you never have to worry about sanding or oiling to keep yours looking good. Keep in mind that with our fully customized option, our custom design consultant expertly installs the finished product. Should you choose the semi-custom option instead, you can feel comfortable knowing the self-installation is quick and easy. 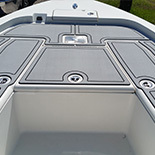 Maximum wet/dry protection – We are often asked about whether our boat flooring products fade prematurely through the intense heat of the sun or get damaged from heavy rain. The short answer is no! When you choose Marine Customs, you can feel at ease knowing that the material we use combats both wet and dry conditions. No slippery flooring – This is something that tends to get lost in the many benefits of marine decking. Take a moment to think about the current flooring on your boat. Is it worn-out or slippery? The absolute last thing you want is for one of your passengers to slip and fall the next time everyone’s out on the water. 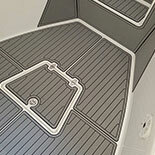 By installing non-skid decking, you can eliminate this possibility and add an extra layer of safety to your boat. Environmental-friendly – At Marine Customs, we only use EVA foam in client projects. Why is that so important? Well, EVA is 100 percent recyclable of all production waste which means Mother Nature isn’t compromised when the material is produced. If you’re ready to give your boat’s flooring a long overdue upgrade, then let’s get started. 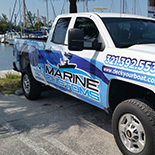 We are marine decking fabricator and installer for non-slip decking throughout Florida. What we offer is a simple and practical alternative to the traditional surfaces for boats, personal watercrafts, airboats, houseboats, kayaks, and more. Our team believes that the perfect custom installation starts with an incredible pattern. Unlike other boat decking companies that offer a limited selection of design options, we give you the freedom to choose exactly what you want. To get started, you will take your pick from 16 available colors. We then allow you to pick from either a fully customized option (digital scan done professionally at your location) or a semi-custom option (where you template the boat on your own). Customer focused and quality driven, we will work with you during every step of the way. Call Marine Customs today for a free consultation.